It’s been a few months since we inducted a new member to The Answer Guy’s Customer Service Wall of Shame. Honda Financial, I sure hope you’re listening. Recently, a friend’s mother, one year into an automotive lease with Honda Financial, needed to stop driving. She had leased an Accord through Honda Financial in May 2010. I negotiated that lease, and believe me when I say that Honda Financial was not making much money on the deal. It was the kind of lease that Honda Financial, or anyone in the position that Honda Financial was in on this lease, should have been happy to re-examine if given a chance. My friend’s mother lived in New Jersey at the time she entered this three-year lease with Honda Financial. Now, no longer driving, she lives in New York City. Choice number one made no sense. Parking a car in New York City costs more than owning and insuring one, and there was simply no need for the vehicle; creating a lifestyle where my friend’s mother didn’t need to drive was why she moved to The Big Apple. Choice number three was easiest, and cost the least. Yes, there’s the credit rating issue and the “moral issue” of walking away from an obligation they could afford, but with circumstances dictating it unlikely that the credit rating hit will ever matter, it came under consideration. And was rejected. Choice number two was expensive, but “the right thing to do”. My friend and her mom wished to honor the contractual agreement with Honda Financial, and so they began looking into the sale of the vehicle. And they found a buyer, albeit one willing to pay a price approximately $2,500 less than was needed to finish business with Honda Financial. And then I contacted Honda Financial about the business process and paperwork necessary to transfer this lovely, 15-months-old-with-just-4,000-miles-on-it Honda Accord to that buyer. And Honda refused to do so. Honda Financial demanded that the vehicle be purchased for cash by the current leaseholder, registered in New Jersey (where she no longer lives), and then, after Honda Financial was “out of things”, well, of course what happened then wasn’t their concern. Which I understand. But practically speaking that wasn’t possible, and by interjecting an extra … oh … three weeks or so of paperwork and administrative overhead to the situation, Honda Financial scotched the sale. I asked for a way through the red tape. I explained the situation in detail. I even pointed out that Honda Financial was creating a situation through rigid application of their business process that was making that “choice number three” strategic default look pretty good, and that if things went that way the $2,500 that my friend and her mother were willing to eat in the interest of doing things the right way would effectively become Honda Financial’s problem. I then took one more shot, contacting the presidential complaint line at Honda Financial seeking special, hands-on customer service that the normal channels of their customer service department couldn’t provide. And the conversation I had with Honda Financial’s Office of the President led not only to the same thing but to an admission that Honda Financial would rather eat that $2,500 than work through the administrative aberration that this situation created. Did this surprise me? Not one bit. Truth be told, as a business process consultant and someone quite familiar with the idea of “Cost of Doing Business” I understand it better than most. But as a matter both of saving money and providing even a modicum of customer service, this one should have been a no-brainer. Instead, Honda Financial will be eating that lease. And even more significant, will soon see that the way we do Search Engine Optimization will land the article you’re reading now far enough up the rankings for the phrase “Honda Financial” that it will cost them much more. It worked when we decided to make an example out of Nissan of Manhattan‘s poor customer service, and it will work now, too. That’s business change. It’s incredibly bad customer service, and of course, it’s also why you need to hire The Answer Guy when you need Search Engine Optimization. Welcome to The Answer Guy’s Customer Service Wall of Shame, Honda Financial. This story has an almost happy ending. The decision to go with “choice 3” was in fact made. 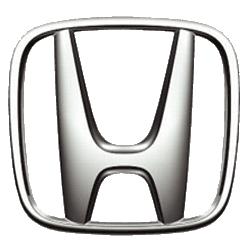 Honda Financial Services was contacted and consulted. They were helpful in that instructions for returning the vehicle to the Honda dealership where it was leased were provided. Honda Financial was on the other hand UNhelpful in that they wouldn’t allow the vehicle to be returned to a closer, more convenient dealership and in that their phone representative was threatening and cajoling regarding the credit implications despite a clear conversation on the subject taking place and there being a long record of how we had tried to resolve the matter. It turns out that the person responsible for accepting the vehicle at Open Road Honda of Edison New Jersey, where Honda Financial wanted the vehicle returned, was Ray Thiel, the “Pre-Owned Manager” for Open Road Honda. I contacted Mr. Thiel, who understood the burden that Honda Financial had now placed on his shoulders as well as mine, and who offered a reasonable price for the vehicle, thereby creating an option #4. Ray Thiel may be the first honest used card salesman I’ve ever encountered. Mr. Thiel asked that I pass on the word, and gave me a few of his business cards. I think this is even better, and Ray deserves the acclaim and new business that being called out as an honest used car salesman and linked as the savior of Honda Financial Services’ behind in this story wlll bring him. Honda Financial stays on The Answer Guy’s Customer Service Wall of Shame. Ray Thiel, the used-car salesman at Open Road Honda, deserves to be enshrined for doing customer service the right way. Instead of being full of yourself, and how wonderful of a deal you got this poor woman into, you might understand that by law you cannot skip the transfer of sale to a vehicle. The honest salesman got the deal day having you drop off the vehicle to them. As a re-sale dealer they can but the car from Honda and collect what ever additional money they could get from you. Mark, I appreciate your time. On the other hand, while “by law you cannot … ” is not in question. The people at Honda Financial Services do paperwork for a living (I’m talking specifically about the finance arm of Honda, Honda Financial). They had the ABILITY to help out a customer and in doing so save themselves some money as opposed to the option that I made it clear would be exercised if they failed to perform this simple customer service task. They both chose not to do so, AND provided incorrect or incomplete information at every turn in this Honda Odyssey. And in looking back at this story to see if I had described the events in a way that was full of myself (because, yes, I take such things seriously), I gotta say you’re out of line. I even went so far as to praise Ray Thiel, the Used Car Manager at Open Road Honda in Edison NJ, for how helpful he was. Again, though, thanks for writing. Again, you keep mixing up the two. Ray works for a franchise dealership with the right to offer buying and selling cars from anybody. Honda Financial is a bank. They cannot skip title and sell the vehicle to a person not on the lease. Whether you like the system or not they can’t do it and they can only offer the options they did. What you wanted was not an option, and when the world doesn’t work your way I feel you think it appropriate to make it as though Honda is so bad. On the other hand Ray, who you so wonderfully complimented, was high fiving all the way to the bank because you think he did you some extra selfless service to help you. Cut me a and anyone who reads your stuff a break. Respectfully speaking you’re out of your area of expertise blasting other organizations that you have no right to do it to. I wonder how many others you have done this too. You should stick your business of SEO and internet. Prove your outstanding service not by ridicule but by a higher road. The proof of how good your services are, by bashing others that try to fulfill employment for people, scares me to never consider using your services. A company that gets off shaming others is living in a glass house. I came to your site to consider your services and you have scared me away because of the way you do business. Though you may have lots of happy clients, I’m sure they would be terrified to tell you differently because they would be on this ridiculous wall. There are plenty of good companies, that can offer the same services you provide. And businesses like your that make petty proof of what is a one sided story, should not be in business. Mark, we disagree on so many things I don’t quite know where to start. First, thanks for suggesting that I keep doing SEO. We’re good at it (and you’re helping). Second, let me tell you that Ray Thiel, while by no means an altruist, offered me more money than either Honda Finance or the private buyer offered. So he might have hive-fived the fact that he made a deal, but he made a deal that was actually a win-win and did so because I laid out my situation and Thiel was smart enough to know that a small profit on a deal he wasn’t making otherwise was better than not making a deal because he wished he could get more. Third, while you’re correct that Honda Finance is a bank and has to dot a lot of I’s and cross a lot of T’s and so did have to dispose of the car in a regulatory-approved way, they still had it in their power to go the extra mile, do a bit more paperwork, and perform customer service. They don’t have to, but they can, and it was their refusal to do so even after they had repeatedly changed their story throughput the process of me trying to resolve this issue that landed them on The Answer Guy’s Customer Service Wall of Shame. Keep arguing with me if you like, my friend. You’re helping me underscore my points. Today, I checked the Illinois Website to make sure all the violations are taken care of. My balance shows $736.00. What? Do you think this nightmare is ever going to end? I’m in the middle of the biggest scam ever. Sarah, that’s a REALLY bad story. And while I don’t know Illinois’ procedures (and remember, they set their own), it sure sound like you did your homework, so MAN! And those fees . . . amazing, right? Reminds me of the escalated fees I saw in one day when New York City Marshal Linda Swift impounded my car. If anything else happens, please let us know!